Technology can be a powerful force for social and civic good. Every fall, Cornell Tech’s Product Studio gives teams of students the chance to build solutions for challenges posed by leading NYC startups, companies, and organizations, and many choose to use their skills for the benefit of society. In the latest round of challenges, teams of students tackled issues as varied as climate change and cyberhate. VaynerMedia asked: How might we develop a system that monitors changes in global shoreline and/or other ongoing effects of global warming? The team’s solution, Footprint, is a browser extension that tracks users’ online grocery orders then calculates their carbon footprint. The extension scrapes data from a website’s server, processes it using algorithms, then sends it to online calculators which work out how much carbon dioxide is emitted during an item’s production, packaging, and shipping. The results are displayed as green (low), yellow (medium), or red (high) plant-shaped labels; the design idea was inspired by organic labeling schemes. 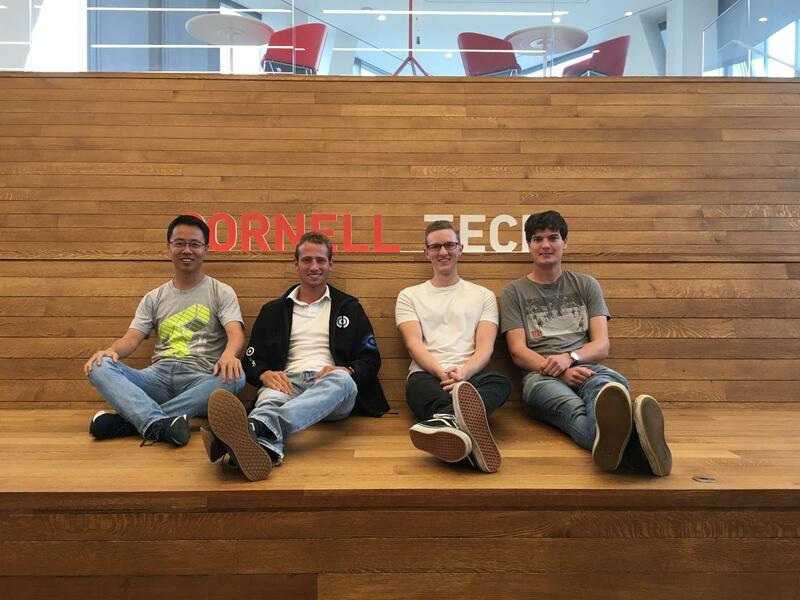 Team members included Ryan Farr, Master in Computer Science ’19, Campbell Weaver, Master in Computer Science ’19, Wen Guo, Johnson Cornell Tech MBA ’19, and Maximilian Kuester, Master in Operations Research and Information Engineering ’19. Output asked: How might we use technology to empower people to be musically creative without formal music training? Team Remuse shares a love of listening to and making music, and believes that musical creativity has a positive impact on society since it can empower people and improve wellbeing; they jumped at Output’s challenge. The team’s music modification app, Remuse, is inspired by Instagram and Snapchat filters. “Users can input popular songs they find on their iTunes or that they download. Then they can apply simple filters to make it sound higher-pitched, or make the voice sound funky, or add nice backing,” said team member Dhruv Jain. The app scans MP3 files and renders them editable. Via a sliding window, users can select and alter parts of the waveform.They can also change the pitch and frequency or add noise and distortion. Music is a powerful force for social good, said the team, since it can provide emotional support during difficult times and can connect people. By making musical creativity more accessible, Remuse aims to help people express themselves. “If we can get more people to make more music, I think the world will be better for it,” said Jain. The Anti-Defamation League (ADL) asked: How might we create tools or services to support likely and actual targets of cyberhate and cyberharassment? ADL’s challenge struck a chord with the members of Team Triggr, all of whom have been affected, either directly or indirectly, by cyberharassment. Through interviews with victims, the team found that reporting incidents of cyberhate can be traumatic. “On a social platform like Twitter, if you want to report toxic messages, you have to complete a survey for every negative message you receive,” said Yixue Wang. Not only is this time-consuming, but it also forces victims to revisit the harmful material. The team’s solution is Triggr, an app that scrapes a user’s social media for negative messages and aggregates them, allowing victims to report in bulk. Triggr also contains links to mental health and legal resources. 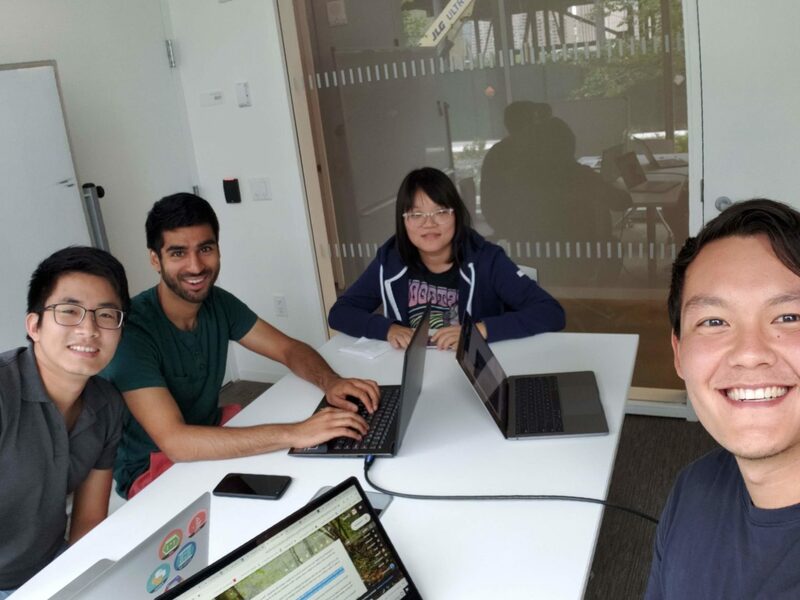 Team members included Mark O’Looney, Johnson Cornell Tech MBA ’19, Meera Nanda, Technion-Cornell Dual Master’s Degrees in Connective Media ’19, Michael Barron, Master in Computer Science ’19, and Yixue Wang, Technion-Cornell Dual Master’s Degrees in Connective Media ’19.